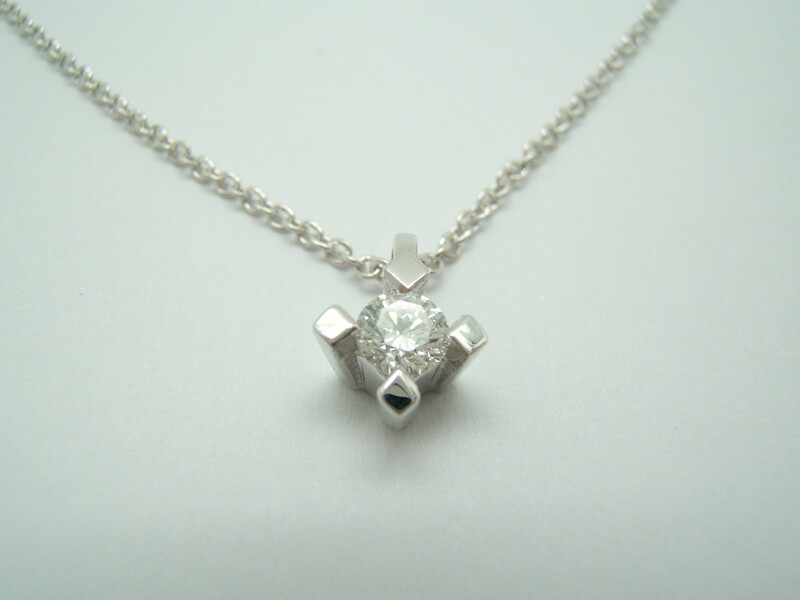 Solitaire Pendant in white gold and 750/000(18 kilates) with diamond chain size 0.16 carats total weight, quality Wesselton-vs, very good size, bright and with 4 Staples crimp. Long of the chain: 42 cm. Set weight: 2.50 grams. Made by master craftsmen with tradition jewelry since 1910.
as set out in the resolution of the United Nations, diamond described here has been purchased from legitimate sources not involved in the financing of any conflict, as has the seller, either for knowledge as for guarantees in writing by the supplier of diamonds.